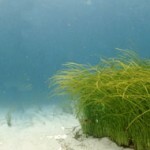 The elected Executive Committee of the World Seagrass Association is assisted by a Steering Committee. The WSA Steering Committee are asked to contribute to the running of the association by reviewing new policy and initiatives prior to their release to the wider membership, acting as general advisors to the Management Committee and sometimes a contact point for local people to get information about the association. Previous members of this group are listed below.